Sara was born in Newport TN and graduated from Maury High School in Dandridge, TN. Sara's family moved to Maryland in 1962, and Sara graduated from the University of Maryland in 1967, with a BS in Microbiology. After working in research laboratories, including NIH, Sara moved to West River in Anne Arundel County in 1982 and became a Realtor in 1983...She has been a Full Time Realtor since 1983. In her spare time, Sara likes to Travel, Read, Garden, attempt Sudoku Puzzles, eat Crabs, and watch Horse Racing. Sara specializes in Residential Real Estate in Anne Arundel County and Northern Calvert County ....Especially Waterfront, Waterview, & Water Privileged Properties of the Chesapeake Bay and it's Rivers & Tributaries. Ray is married to Heidi and has three grown children and seven grandchildren. He was a firefighter for 33 years, served on the board of directors for A.A. County Chamber of Commerce and is presently the president of the Deale Merchants Association. He has lived in Deale and the surrouding area all his life. Ray enjoys spending time with his family and friends. 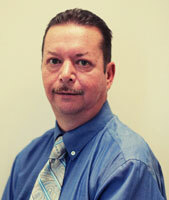 Ray is a leading agent in Anne Arundel County, and has been recognized by the industry with many awards. 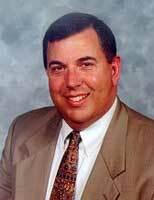 Along with Mike Dunn, their joint approach and expertise is unsurpassed by other agents. They take great efforts in getting to know each client and building a relationship to meet individual needs. Together they have in excess of over 30 years of experience. Ray Mudd is recognized as a top agent who specializes in waterfront, residential, first time buyers, and farms in the beautiful Anne Arundel County and Calvert county, Maryland. - Call and we will be glad to prove it! 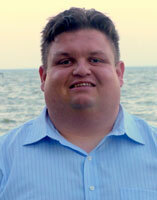 Mike is a leading agent in Anne Arundel County, and has been recognized by the industry with many awards. Along with Ray Mudd, their joint approach and expertise is unsurpassed by other agents. They take great efforts in getting to know each client and building a relationship to meet individual needs. Together they have in excess of over 30 years of experience. Mike Dunn is recognized as a top agent who specializes in waterfront, residential, first time buyers, and farms in the beautiful Anne Arundel County and Calvert county, Maryland. Julie has been part of the south county community for more than 25 years and has a deep commitment to the area and the people who live in it. She is dedicated to representing her clients and helping them through the complexities of the real estate market and ensuring that their interests are protected. Originally from the Pittsburgh, PA area, Julie moved to here in the 70’s to enjoy a very successful career in the federal government at the National Transportation Safety Board (NTSB). Recognized for her leadership and management skills she ultimately earned a position in the Senior Executive Service, the highest level obtainable for career employees. Retired from the NTSB in 2006, she has pursued her career in real estate with the same level of experience, professionalism and dedication that earned her recognition in the government. Julie earned her Master of Arts degree in clinical psychology from Duquesne University. This background, combined with her business savvy gives her a strong foundation for negotiating and resolving difficult situations that can arise in real estate transactions -- bringing them to successful conclusions. She enjoys living in South County where she spends her spare time reading, gardening and enjoying life on the Chesapeake Bay. But, she enjoys nothing more that helping people transition to and from this great region. I have been a resident of Anne Arundel County for the past 34 years and a licensed Realtor for over 22 years. My wife and I have raised 3 children who have graduated from Southern High (a blue ribbon school) and have been able to graduate from college. I have been part of the real estate market when real estate was booming when there were multiple offers on the same property and now when interest rates are the lowest in years. Now it is cheaper for a lot of renters to buy their first homes. We should be on a mission to try to repair potential buyers credit scores and give them the opportunity to qualify them for the American dream of being a homeowner. Having grown up in the beach communities of Southern California, somehow living in Washington DC was never felt quite right. So in 1995 I moved to Southern Anne Arundel County. This was the right place for me. But, I continued working at The Washington Post as an artist in their Advertising department for several years. The commute was never a chore when you could come home to this every day. In 2001 I said good-bye to The Post and became a Realtor. 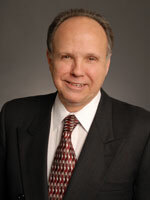 Over the years I have represented primarily families buying and selling Single Family Homes, Condos and Townhomes. My specialty is client service both in finding each buyer the right new home and marketing each listing to all of its potential buyers. My job is to prepare each client for the possible stumbling blocks they might encounter along the way to settlement, that way guiding buyers and sellers through the process with as little stress as possible. I welcome the chance to do the same for you. Through a long and challenging process Micki kept her cool so I could do the same and reach the goal of selling my condo. I would go back again in a minute. We referred several properties, owned by our clients, to Micki for sale. So, her good work reflected on us as well. We were not disappointed. She got them sold for us when our previous experience with others had not gone well. I would refer her again. My family had always lived by the water. So when I started thinking about buying my first house, a water view was the high priority and with Micki’s help I found exactly what I wanted. 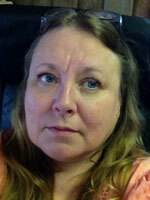 Micki Kirk provided excellent realtor services to me twice. When I moved overseas she was my property manager where she screened and identified rental tenants, managed all needed repairs and related bill payments, provided regular detailed updates on the property's condition and maintained a great relationship with the tenants on my behalf. When I decided to sell the property she handled the tenants very well. The house was effectively advertised and sold in a reasonable period of time without any problems. Ms Kirk handled everything expertly and with excellent attention to detail, making the process very easy for me. I highly recommend Micki Kirk as a highly processional realtor. Clyde and his wife Debra live in the Tall Oaks Community of Dunkirk and spend as much time as possible with their 3 grandchildren in nearby Owings. They have lived in Southern Anne Arundel County or Northern Calvert County for most of their lives. Both of them hail from Calvert County, Clyde from Northern Calvert and Debra from Solomons. Clyde’s passion is the Washington National’s and Debra loves Vintage Shopping when she is not with the Grandchildren. Over 35 years in the Wholesale Beer Industry in Washington, D.C. and surrounding suburbs, where Service Expectations rival those of any industry. From Hagerstown to Point Lookout, and most points in between, Constant attention to detail and meeting the needs of customers. As a Schwartz Realty, Inc. Real Estate professional, he is committed to providing you with highest quality service possible. Let him assist you in finding your dream home, in a neighborhood that is right for you, and in the price range you want. Or, if you have a property for sale, If you are considering a Real Estate transaction of any kind, please feel free to check out his reviews at https://www.zillow.com/profile/Clyde-Butler/#reviews and call Clyde @ 443-223-2743 or email him at cbutlerjr29@yahoo.com. I was born in Sacramento, California on Mather's Air Force Base. My family raised me in Southern California where I enjoyed surfing and playing beach volleyball with my friends. Before joining the Navy, I was an office manager at Thrifty Car Rentals. I joined the Navy in 1996 to become a jet mechanic. While stationed in Norfolk, Virginia I met my husband of over 15 years. This where I developed a love of houses. We have two handsome boys Daryl and Austin. Both our boys were born on Andrews Air Force Base. They are avid lacrosse and baseball players. We have lived in South Anne Arundel County since 2006. South County was a perfect fit for our family and life style. I enjoy hiking, boating, and working in my garden. I also love the nature that South County has to offer. Whether it's moving in or out of the area I have a wealth of experience in moving. I would see to it that your selling, buying, or renting experience would go as smooth as as sailing. Hello! I am a 4th generation South County resident and I have lived in and enjoyed Franklin Manor for 36 years. My great grandfather started Franklin Manor back when it was a hotel and resort. My grandfather then took over the business and started selling lots so that he could share his love for The Bay with others. I am looking to continue this tradition in South County. I attended Southern Middle School and am a graduate of Southern High School. I received my bachelor’s degree in business management, minoring in homeland security at University of Maryland. Realizing I have a great interest in real estate, I recently went back to realtor school and obtained my license in real estate. I have always enjoyed sales and have worked in different areas of sales for years and with my love for sharing this beautiful area we live in I believe real estate was a natural choice. I met my lovely wife Ashley while at college and we have been together for 10 years. She grew up in Severna Park and works at Anne Arundel Community College in counseling and advising. We have four dogs - two toy poodles and two pit bulls – whom we love tremendously. I recently underwent gastric sleeve surgery in January 2014 and have been living healthier and happier ever since. I love living on The Bay and doing all the activities that come with it - sailing, crabbing, fishing, hunting or just having a drink and enjoying the great views. Growing up here has given me great knowledge about the area, including food, fun and festivities to be had both locally and abroad. I am not here to just sell you a house; I am here to sell you a lifestyle and make your dreams come true. So whatever those dreams are whether it’s here or you’re leaving us and need to sell your home I am here for you to do the best job I can. If it is to help you find your dream home here, or get you the money to go find it somewhere else let me know what I can do for you. Gloria Ann Turner loves interacting and connecting with people. She was born and raised in Anne Arundel County. She graduated from Southern High School with honors and received several sports awards: basketball, softball, and cheerleading. She earned a Bachelor of Arts Degree in Journalism/Communication from Bowie State University; a Master of Arts Degree in Religious Studies from Howard University, Washington, D.C.; a Master of Divinity from Wesley Theological Seminary, Washington, D.C.; and a Doctorate of Theology at Chesapeake Bible College and Seminary, Eastern Shore, Maryland. Her professional career consists of working as a Public Affairs Specialist at National Geographic Society in Washington, D.C. for 20 years; and she was an English and Bible teacher at Riverdale Baptist School in Upper Marlboro for 12 years. Believing in the empowerment of education, she is the founder and president of The Watkins Foundation, an educational and a community outreach program that counsels students to become future achievers. Gloria is also the author of “Living from Faith to Faith,” which is in its second edition and has been widely read by spiritual leaders across America and around the world. She has been married to Robert for 40 years; they reside in Maryland with her grown children and their family. Stacie Noland’s dedication and perseverance to find your dream house is what makes her the perfect choice to assist you in your real estate needs. 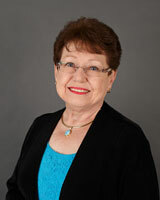 She takes pride in helping all people with all budgets find a home perfect for making life-long memories. Her biggest pleasure is seeing the look on her client’s face when they walk into a house and immediately know this is the house of their dreams! “It is not always just the look, or the amenities a home has to offer, but the feel that a home has when you step into it and you know, this is the one” Stacie said. Stacie and her husband reside in Churchton, Maryland where they enjoy raising their six children. She enjoys Maryland crab dinners on the bay while watching the sailboats travel across the water, and spending time playing on the water with her family. Stacie has had a passion for homes since college when she majored in interior design. Her passion has followed her into real estate and assisting people to find that perfect look and feel. She will first sit down with you and listen to your wants and needs before embarking on the exciting journey of finding your home. If you are looking for a personal agent who is sincerely honored to find your home whether you are a first time buyer, experienced buyer, or looking for that waterfront dream home, let Stacie work hard for you! I was born in Anne Arundel County. My parents moved to Prince Georges County when I was a toddler. But most of my life I spent time over the summers and weekends enjoying crabbing, fishing and boating on the river and bay from my grandparent’s, Skip and Olive Haines, waterfront home in Edgewater. After living in PG County for 40 years I found my self living in South County. My Family and I moved to Churchton. We went from the 24 hour fast food on every corner and traffic jams around the clock to the simplicity of a small town and the calming but inspiring natural beauty of our bay, rivers, and wetlands. For me it truly is like living a perpetual vacation. I have spent my career working in accounting. I was Controller for Softspikes, Inc. for ten years. During that time I also served as the registrar, soccer commissioner, and a soccer coach for the Beltsville Adelphi Boys and Girls Club. In 2000 I was honored as Woman of the Year for Prince Georges County and Beltsville Adelphi Boys and Girls Club. In 2002 I accepted a position with Brandywine Sand and Gravel Co. where I am the Controller. I earned my real estate license in 2007 and have enjoyed working with all kinds of Home Buyers and Sellers. The reason I felt compelled to become a realtor are the experiences I had when buying and/or selling my own homes. I remember being a first time homebuyer young and inexperienced. I didn’t understand who the agent worked for or how important the home inspection was. I know now what I didn’t know then and I want to share that with you. I’ve bought and sold my home and purchased another and did it again after that. I understand the inspection process and have dealt with a multitude of last minute issues. I know how nerve racking it can be. It’s huge and stressful and wonderful all at once. I want to experience that with you. As your realtor I will do what it takes. I will help find programs for first time home buyers. I will be diligent in finding my buyers homes to meet their needs. For my sellers, as your listing agent, I won’t expect your house to sell itself. I will do as much as possible to get your home out there on the radar. With signs, open houses, advertising and listing on brightmls. I strive to be the licensed professional with the work ethics you can trust. Laura “Betsy” Dorey has been acquainted with South County from childhood. She talks about having fond memories of visiting her grandmother at her Deale waterfront home. Her grandmother, Mary Dixon, many years ago was also an agent with Schwartz Realty and sold Laura her first home. 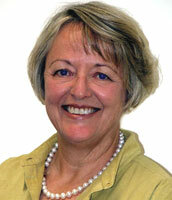 Laura has been a licensed real estate agent in good standing since 1989. Real estate is not only something she takes seriously but it is also something that she really enjoys and has been known to say that it is her favorite hobby. Retired in 2012 from the US Department of the Interior, she applies the same level of customer service, professionalism and dedication to clients that she was recognized for while working for the government. She has a strong work ethic that carries over into all areas of her life. With her husband, sons and grandsons they have enjoyed all of what South County has to offer from boating, to water privileges, community involvement, sporting programs, shopping, restaurants, and much more. Her specialty is in seeking out waterfront and privileged properties for clients so that they too can enjoy what these communities have to offer. So let Laura make things “Hunkey Dorey” by helping you with your real estate needs. Specializing in Real Estate Services to Active Duty and Retired Military, Civil Service Employees, and Boaters (Sail or Power). 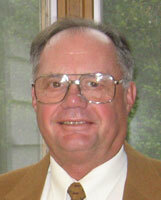 Active licensed Real Estate Agent starting in Utah (1981), Idaho (1981-1985), and Maryland since 1986. Primary personal Real Estate Objective is to insure Customers receive Quality and Professional services as First-Time Home Buyers, or as Experienced Property Owners. Daniel Toth joins Schwartz Realty having spent most of his adult life serving our country. Eight years of which as a United States Marine and his continued service as a federal law-enforcement officer, which he has done for the past six years. He currently lives in Arnold with his wife Nancy and two beautiful daughters Veronica and Leah. Daniel is a motivated and driven sales agent, his desire is to not only get you top dollar for your current home, but he will aggressively negotiate a fair price for your new home.